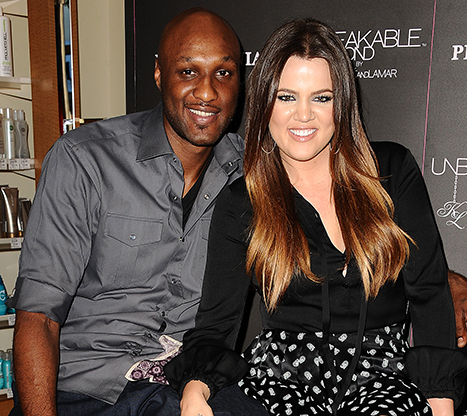 Lamar Odom and Khloe Kardashian formally cancelled their pending divorce on Wednesday, with the court approving the couple's withdrawal of papers that would have ended their marriage. Odom signed the "Request for dismissal" on Tuesday, according to court documents. Odom, 35, is recuperating in a Los Angeles hospital following his collapse last week after a three-day binge at a Nevada brothel, with police reporting they had been informed he used cocaine and sexual-enhancement supplements. He and Kardashian were estranged at the time of the dramatic that led to a frantic 911 call from staff at the Love Ranch brothel and left the former Los Angeles Lakers forward and NBA Sixth Man of the Year fighting for his life. Laura Wasser of Wasserman, Cooper and Carter represents Kardashian, and is a high-profile lawyer that specializes in the dissolution of celebrity marriages. She filed the paperwork on behalf of Kardashian when the reality television star first sought divorce in December 2013. Paperwork signed by both parties was delivered to the court pending approval and ratification in July of this year. According to a second person with knowledge of the situation, Odom and Kardashian rekindled their relationship during his stay at the Sunrise Hospital in Las Vegas, where he spent six nights before being transported to Cedars-Sinai in Los Angeles for further specialized care. The person asked not to be named due to the sensitivity of the situation.